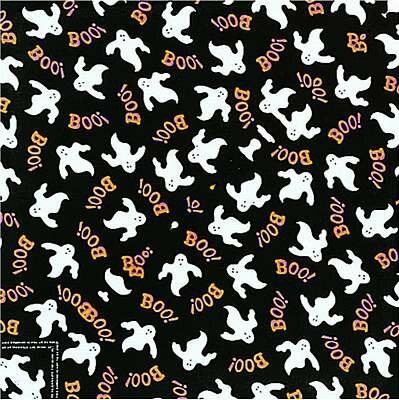 Halloween styled dog bandanas are perfect for the pet that can do without costumes or clothes. Boo Ghost dog bandanas come in an extra large 22" square size that fits most dogs or can be cut to size to fit smaller breeds or cats. Made from a 50/50 poly/cotton blend.